In the film Her, recently separated Theodore Twombly (Joaquin Phoenix) acquires a new smartphone with a hyper-intelligent operating system that he names Samantha (Scarlett Johansson) and forms a romantic attachment to. The movie is nominated for five Academy Awards, including Picture, Original Screenplay and, for its beautiful vision of a futuristic Los Angeles, Production Design. One of the things I love most about Her is the film's colorful visual design. The sets, props and costumes in every scene are like a perfectly composed color palette. 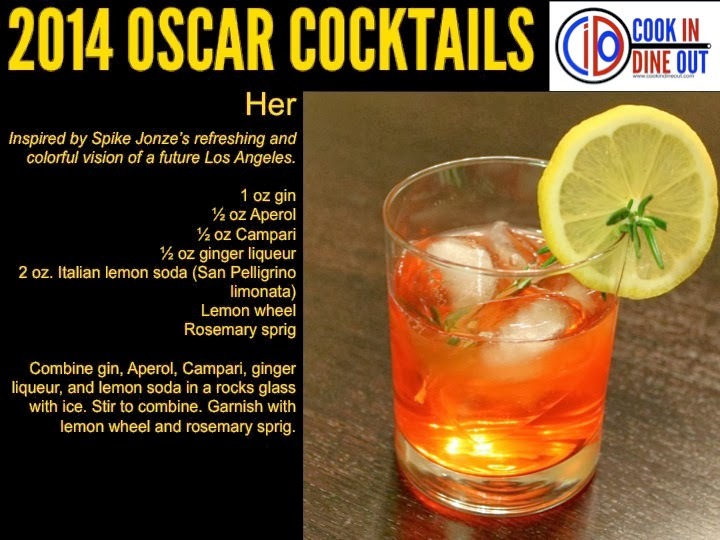 Thus, the Her cocktail is inspired by the colorful look of the film, as well as its refreshing take on human connection. 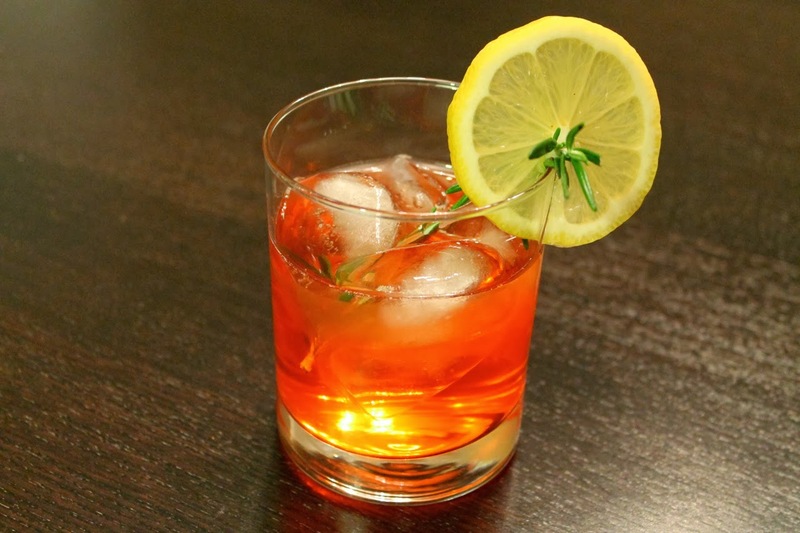 Combine gin, Aperol, Campari, ginger liqueur, and lemon soda in a rocks glass with ice. Stir to combine. Garnish with lemon wheel and rosemary sprig. A beautiful drink for a beautiful film. Nicely done.